More about my art, and my approach to art. Like most artists, indeed people, I enjoyed drawing when a child. I was born and spent the first 16 years of my life in Gloucestershire, on the banks of the river Severn, in what is known as the 'horseshoe' bend, comprising the villages of Arlingham, Framilode, Saul and Frampton-on-Severn. Upon leaving school in 1961, like most of that generation, life took over and my love of drawing and painting was put on hold. But my love of art and paintings never left me and would visit art galleries and buy books on the subject. In my 40's I decided to take it up again and attended evening classes. Once I'd exhausted this avenue to learn, I did a foundation course in art, then finally a fine art degree at Liverpool's John Moores university. Selling a painting in my degree show gave me a big boost and I also won the John Moore's drawing prize which gave me a further year at the university. 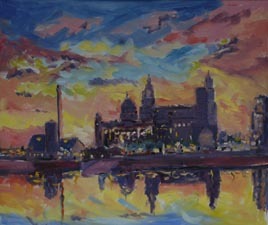 I also had a studio in Liverpool and over a period of several years I focused mainly on paintings of Liverpool, especially its iconic waterfront. Also in this period I began teaching art and continue to do so. My style changes from time-to-time and hopefully evolves. 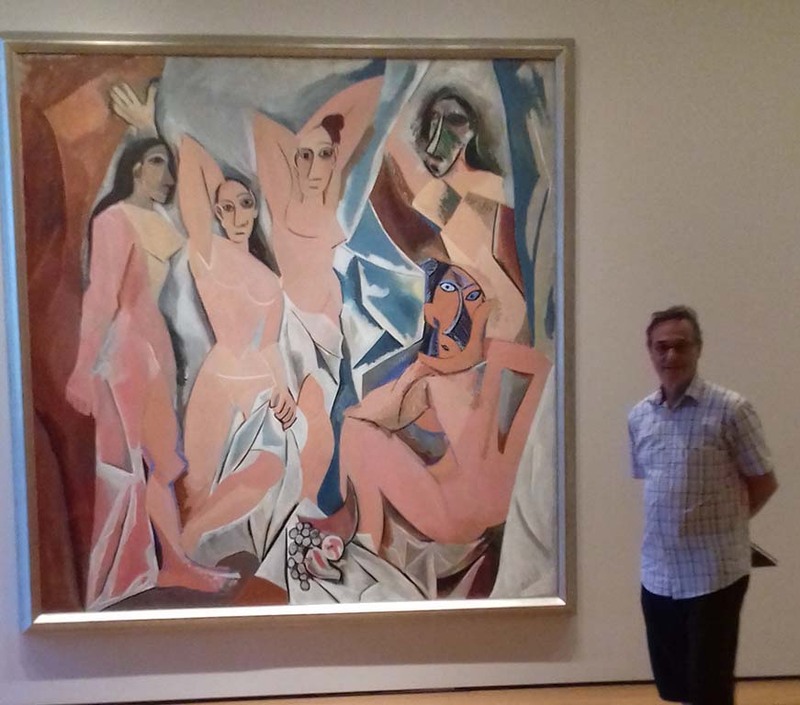 Most artist's work does evolve, change stylistically. Also, they might switch to another medium. 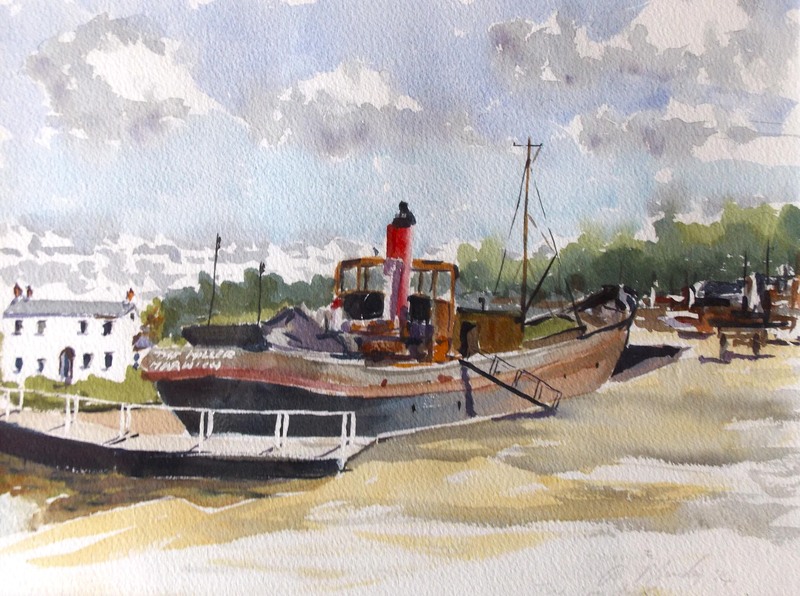 For years I was afraid to use watercolour, but needed to learn it as I began teaching it to my students. Now I love the medium, though I'm still much of an oil painter. Backing up these two disciplines is drawing. Drawing is the key to painting and artists need to constantly practice it - it's also very enjoyable as you can be in any situation, a public space, out in the landscape or wherever and you can very quickly sketch the essence of a subject, often in just a couple of minutes, or seconds if it's based on figurative work. 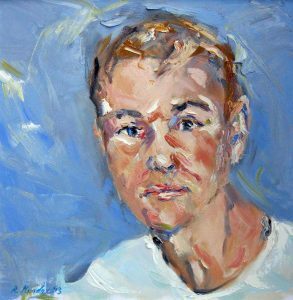 My subject matter is wide ranging, from still-life, figurative work and directly from the model, seascapes. Another medium I use is pen and ink, washes. This allows me to work feely, loosely and monochrome. There are mediums, such as pastilles, I've never tried. 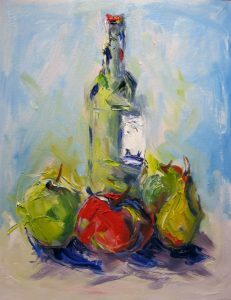 This is because for me it would be a mistake to widen my prefer mediums of oils, watercolours and drawing, usually with charcoal and can lead to spreading one's skill too thinly. Important as an artist is that you never stop learning or perfecting one's own chosen medium. Yet within these limits there is plenty of room to experiment, as sin the following example. 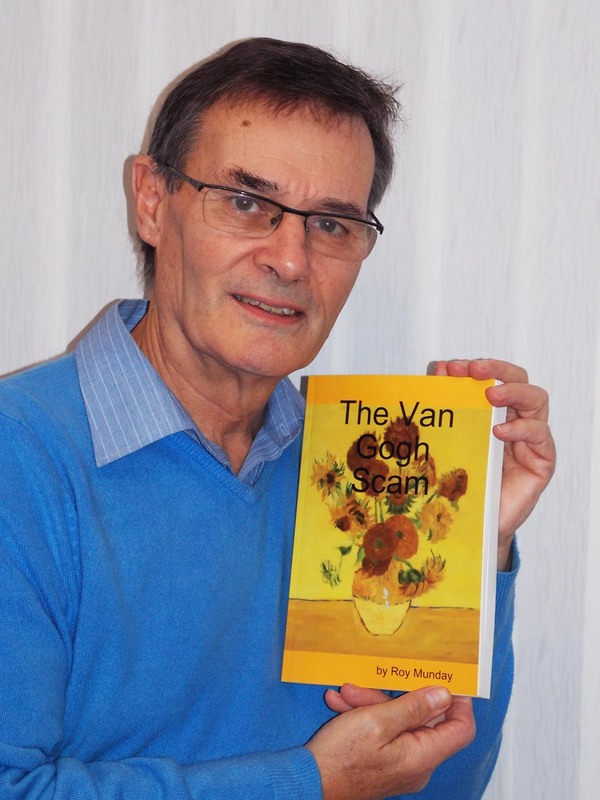 With my novel, The Van Gogh Scam. Though my main passion is art, and painting, I also have a keen interest in literature. In 2013 I decided to combine my two passions, writing a novel titled: The Van Gogh Scam. I enjoyed doing extensive research into this story. The plot centres around an old folk's care home in London, where the residents learn that it owner is about to go bankrupt, throwing them out onto the street! One of the residents hatches a plan which includes the need to steal the original Van Gogh sunflowers painting from the National art gallery, replacing it with a forged copy.